Quick Release Plate are the most easily overlooked part of buying and using a tripod. At present, ARCA-SWISS has become the most widely used standard for fast mounting.Its characteristic is fast outfit plate and cloud stage have corresponding dovetail groove, as long as the slot spacing is consistent, no matter wide or narrow can be fixed use. Of course, the quick release plate at the bottom of our tripod mount ring meets ARCA standards and can be directly fixed on most of the cradle head. So what about the non-ARCA standard quick release plate? The most common is the Manfrotto 200PL series. However, I think that the standard for quick release plate will be dominated by ARCA sooner or later. Also Manfrotto introduces a new tripod mount ring compatible ARCA standard. I believe that most photographers have brought a camera, a tripod, and found that they have forgotten the quick release board when they arrive at their destination. At this time, you can consider removing the gimbal stabilizer. 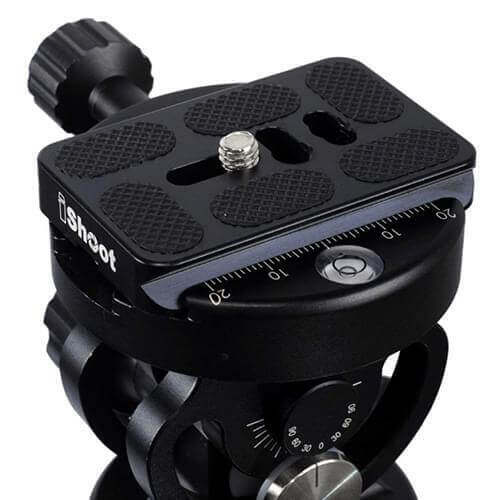 If your tripod uses a dual-purpose screw (compatible with 3/8" or 1/4", the bigger one can be used for the gimbal stabilizer, and a smaller can be used for the camera), then congratulations, you can connect the tripod and camera without pan head and quick release plate. If not... remember to bring the quick release board next time. Then how can you ensure not forget to bring a quick release plate? The best way to do this is to attach the quick release plate to the camera and lens and not remove it. The camera can be considered with an additional handle with a quick-loading function, or an L-shaped quick release plate (so that the vertical stability is better); the lens can be fixed with a double-hole screw, or the part of the pin can be directly replaced with an ARCA-compliant standard types. What interesting experience do you have about the use of quick release plate? Welcome to leave a message share with us!